Look who doesn’t want I get out of bed this morning. I think pitkin has taken my spot in the bed. I have been gone too long! 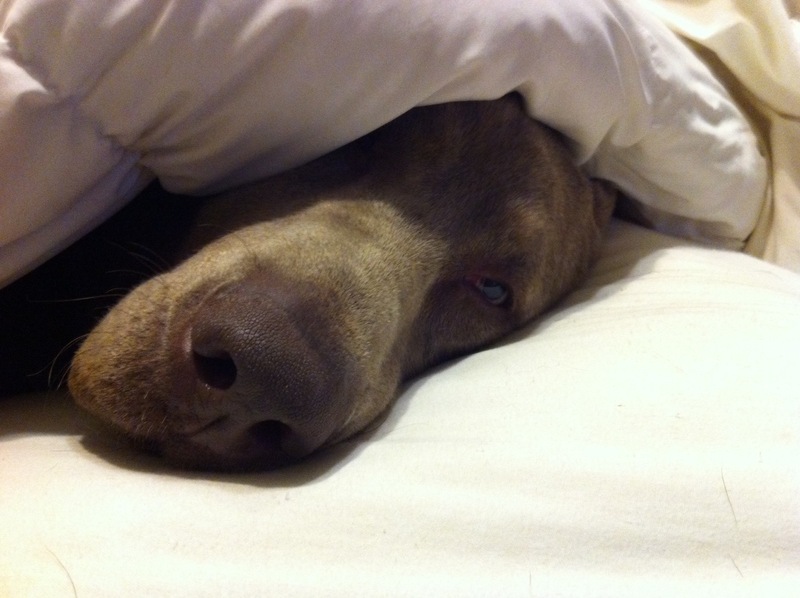 This entry was posted in Pit of the Day and tagged charcoal lab, pitkin, silver lab. Bookmark the permalink.